Squint surgery performed for first time in Lokeswarananda Eye Foundation for Mr. S. Banerjee of age 28 years. Endo DCR (Dacryocystorhinostomy) now being performed at Lokeswarananda Eye Foundation. Vitro-Retinal surgeries is done for the first time in Purulia by collaboration with SLR Eye and Retina Pvt Ltd. by expert eye surgeons. 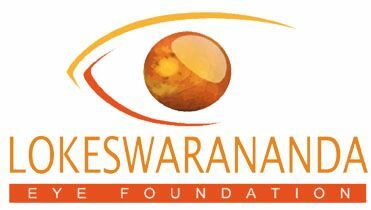 Lokeswarananda Eye Foundation procures the tele-ophthalmology unit, which is sent to remote villages along with a mobile unit. Dr Sukumar Hansda , Minister in charge , Paschimanchal Unnayan Affairs, Govt. of WB, inaugurates a new hospital block on 27th Feb, 2014. Lokeswarananda Eye Foundation is named after Swami Lokeswarananda Maharaj, the highly revered monk of the Ramakrishna Order. His life was a living example of the ideology. Swami Vivekananda preached- “Service to man is service to God”. Guided by this philosophy, Lokeswarananda Eye Foundation began its humble journey in 2008 as a 6-bedded Eye unit and gradually grew to be a 100- bedded Tertiary care Eye Hospital as it is to-day. Our sincere effort is to make Lokeswarananda Eye Foundation an instrument of the Divine will. It is in that spirit that we meet our day to day success as well as our hard-ships and limitations. There are some place where one has to just visit and see and one feels hope. Nanritam's workplace in Para, Purulia is such a place. This is one place which demonstrates what a few good men and women can achieve. From helping people losing their eyesight, through handicapped children to farmers trying to increase their productivity, Nanritam is involved in all. I am leaving today feeling optimistic for INDIA. Thank you for the opportunity to come back to Nanritam. I cannot think of a better, more hopeful and more joyous way to end an otherwise disappointing year. Now I feel ready to face 2017. You have created something magical. The school compares with the best and most expensive private and public schools anywhere in the world. The model you have developed really needs to be taken to other parts of the state and the country. It is not just what you are doing with the students; to have such a group of imaginative and motivated teachers as well says a lot about your management and creative skills. I would love to spend some more time here and learn how to develop such a positive learning environment. The other programs of Nanritam – the hospital, the agricultural projects, the early childhood development – all follow the same principles of innovation and inclusiveness as the school. You are doing all this in such a morally, ethical and non-discriminatory way that it makes me really proud to be an Indian. Most of all, everyone is having so much fun here that I wish more children could get a chance to experience it. May you continue to grow and expand. And I hope we continue to get a chance to learn from and with you. PS - Three more things I loved (1) The way you are using the talents of the local community – esp for art & culture. (2) The stylish uniforms of the nurses. (3) Chacha ! Visiting Nanritam in this remote corner of Bengal was a most heartening experience. Its outstanding hospital services and facilities and the school, Filix School of Education, have to be seen to be believed. These facilities are run with dedication, 21st century efficiency and compassion. You can sense these in the faces of the school children. This creates optimism not just for the children in the school and the patients in the hospital but for India. Other institutions all over can learn from what can only be called the Nanritam model. LEF, Para - 9.30am. to 12.30pm. 9 am. to 1 pm. Huchukpara - 5pm. to 7pm.